Improper valuation of intangible assets, which need to be written off from shareholder funds, are likely a key culprit in this horrifying saga. The now-beleaguered and much-derided Infrastructure Leasing & Financial Services Limited (IL&FS) holds its annual general meeting on September 29. IL&FS has a handful of major shareholders who, like Kumbakarna of Ramayana fame, were in deep slumber through the long night of mismanagement, and it remains to be seen whether these same shareholders display the wisdom and ferocity of this mighty warrior when awake. Many articles in the media on the IL&FS fiasco have attributed the problems to a shortfall of liquidity which can be resolved through some liquidity arrangements, including a capital infusion by shareholders. 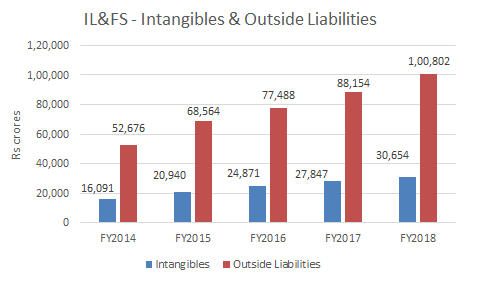 A cursory analysis of the consolidated accounts however reveals a horrifying saga: IL&FS has been an insolvent company since at least FY’2014 (no disclosure of consolidated accounts prior to FY’2014). Intangible assets which need to be written off from shareholder funds are the culprit, and the significant rise in such assets, which in all likelihood are the losses incurred in the company’s subsidiaries, clearly reveals the problem. How the significance of such a basic disclosure, which is not even hidden in the notes to accounts, can have escaped the board of directors, the auditors, the credit rating agencies, the subscribers of IL&FS debt paper and the regulator paints a pathetic picture of the Indian financial system. Apparently, in all these years, nobody bothered to read the consolidated accounts of IL&FS, which are on the company’s website and hence in the public domain. An intangible asset is an asset that lacks a physical substance, is difficult to evaluate and derives its value from intellectual or legal rights. IL&FS’s intangible assets (including goodwill) in FY’2018 were Rs 30,654 crore, or 27% of total assets. The fact that intangible assets have been steadily rising from Rs 16,091 crore in FY’2014 should have rung a warning bell to auditors and credit rating agencies. Auditors annually have to vigorously test the management’s valuation of these assets and whether it requires any impairment charges, as all the assets are matched with liabilities which the company has to service. In FY’2018, the company commenced marking down these intangibles and booked Rs 295 crores as impairment of Service Concession Agreement (SCA), when it sold its entire (50%) stake in the NAM Expressway on August 16, 2018 (post the balance sheet date) for a mere Rs 60 crores to Ramky Infrastructure, which highlighted how over-valued this particular asset was on its books. As per RBI norms and basic financial analysis, intangibles have to be written off against share holders’ funds. Apparently either nobody was analysing consolidated accounts or everyone in the system was complicit. For the year ended March 31, 2018, the consolidated accounts of IL&FS reveal share capital of Rs 983 crore, reserves and surplus of Rs 4,445 crore and minority interest of Rs 3,903 crore aggregating to a reported net worth of Rs 9,331 crore. However, a closer examination of share capital shows Non Convertible Redeemable Cumulative preference capital (debt instrument) of Rs 855 crore; and from the reported reserves, revaluation reserve of Rs 553 crore and net deferred tax asset of Rs 352 crore has also to be deducted. After deducting intangibles, the net worth of IL&FS is a negative Rs 23,083 crore, and it has consistently worsened from a negative Rs 7,522 crores in FY’2014. While the company was going deeper into the red, its outside liabilities (debt plus other liabilities which are payable) kept increasing from Rs 52,676 crore in FY’2014 to Rs 100,802 crore in FY’2018 as naive credit rating agencies gave top ratings to IL&FS paper, completely ignoring the visible problems in the consolidated accounts. Tellingly, the chairman of the Life Insurance Corporation (LIC), the largest single shareholder of IL&FS, on September 28 said “around Rs 70,000 crore worth assets can be recovered from IL&FS,” — i.e. around 60% of its assets as on FY’2018. His statement indirectly acknowledges that the entire intangibles have no value and in addition another Rs 16,000 crores of assets may not be recoverable. At the annual general meeting today (September 29) , IL&FS is planning to raise Rs 4,500 crore through a rights issue besides a credit line of Rs 3,500 crore from LIC and SBI. Given that the entity has a negative net worth of Rs 23,083 crores, this amount will be a drop in the ocean. Furthermore, given the state of IL&FS subsidiaries and associates, the RBI special audit is likely to uncover far more losses. Hence the magnitude of the bail-out needed may dwarf any other bail-out in India’s financial system. 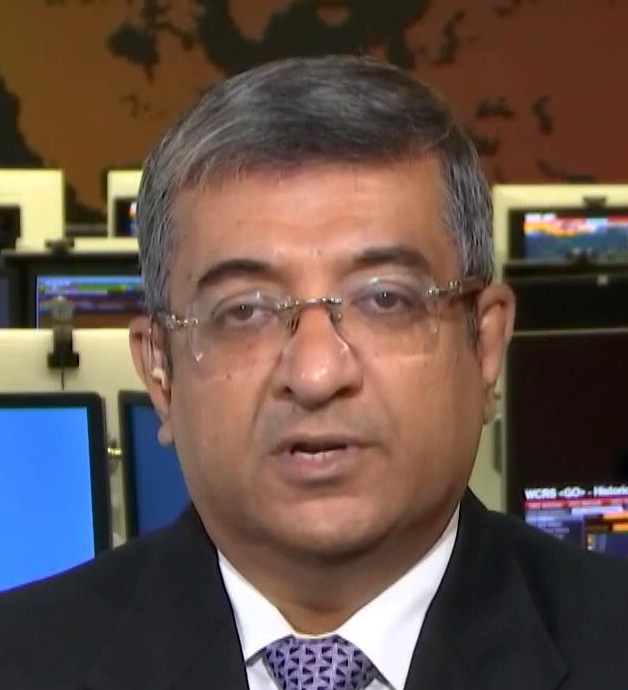 Hemindra Hazari is an independent market analyst.